Stefan was diagnosed with pervasive developmental disorder-not otherwise specified when he was four, meaning he is on the autism spectrum but does not fully meet the criteria. “He has impairments in the areas of communication and social skills, with repetitive or restricted patterns of behaviour, interests or activities,” Stefan’s mother, Karen Tollis, said. “Many children on the autism spectrum also suffer high anxiety and can display weak motor skills. 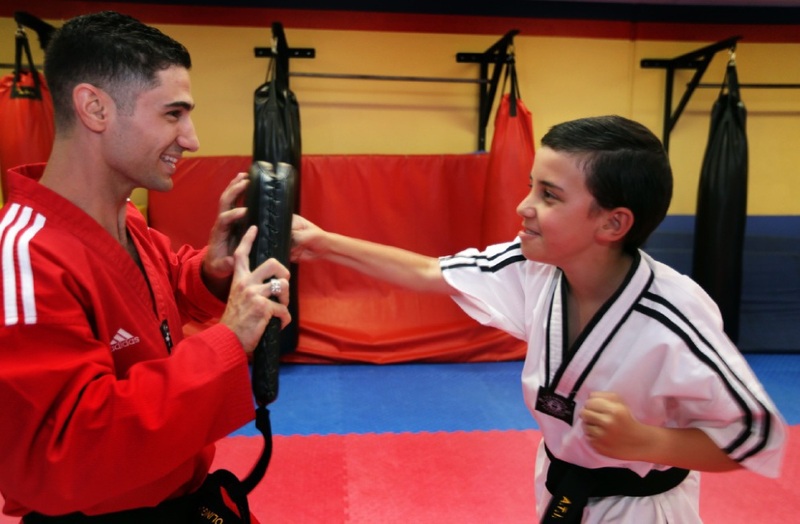 Stefan joined ATI Martial Arts Joondalup in 2010, when he was five. “We chose taekwondo because it encourages defence strategies rather than attacking and it is the most practised martial art in the world,” Mrs Tollis said. ATI director Rocco Capolingua said when Stefan started ATI’s little dragons program he had little attention to class lessons and would make nervous sounds. “Over time, he began to develop the skills being taught and engaged in the learning and the nervous sound-making stopped,” he said. “As he moved to the junior taekwondo, class he showed little confidence in sparring and found it hard to attack or even counter attack. Mrs Tollis said taekwondo was not only teaching Stefan to focus and concentrate but also to respect himself and others. “His strength and arm movements and co-ordination…have improved remarkably,” she said. Stefan has now reached black belt status and according to Mrs Tollis, his anxiety has almost disappeared. “I recently read a book titled Look Me in the Eye written by a 14-year-old autistic American boy who wrote the best thing he ever did in his life was to learn taekwondo .